He has such a sweet personality but yet so agressive in the field." 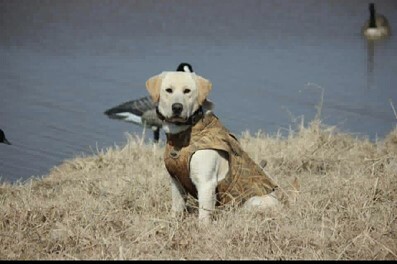 Buck was absolutely perfect this weekend (10/29/2011) in North Alabama AKC hunt test! 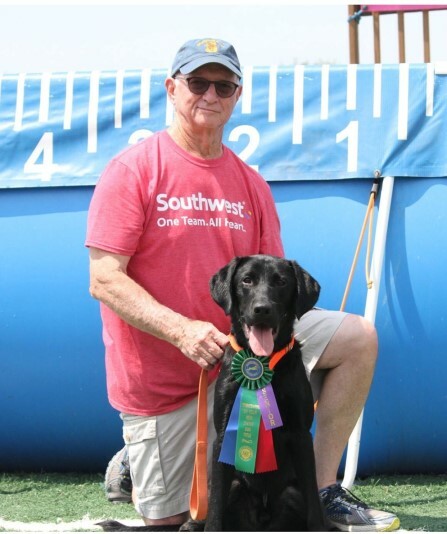 He earned his Senior Hunter title and was the only dog to run all four tests perfect! The only dog to line two out of four blinds!!! He has been a pleasure to train and that is an understatement! ThanksWill MabryHigh-Cotton RetrieversSt. 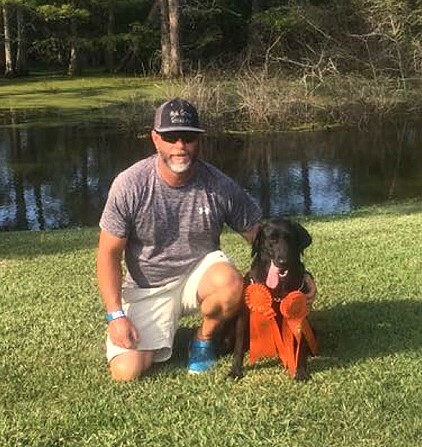 Joseph, LA601-807-5320"
"Buck EARNED his first Master Hunter pass this past weekend (03/03/2012) in a Double master at North Alabama Retriever Club! He made it to the 3rd series of both master tests!! You could not ask more of an animal that is only 23 months old! EXTREMELY NICE!!!!!!! " 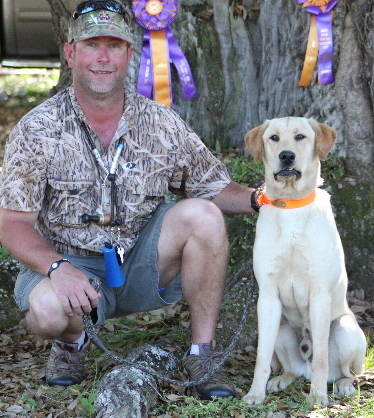 "Buck earned his Master Hunter title this weekend (09/29/2012) at Ponchatrain Retriever Club! He ran the tests perfect and only 2 1/2 years old !!!!! Absolutely an AMAZING animal!!!! Thank you so much!!! 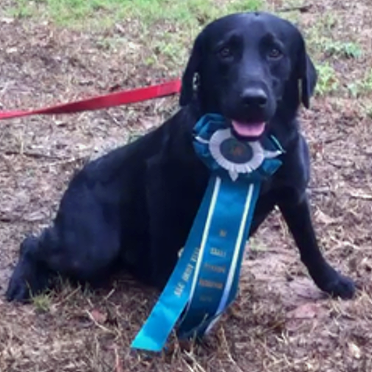 Lora handled Dixie in the Southeast Texas Hunting Retriever Club Hunt Test this past weekend. She got her last two passes with ease and now has her “Started” title. I didn’t get any good pictures, but will try to send you some short video clips on separate e-mails. I hope the files won’t be too large to send. By the videos, you can see that she has great enthusiasm and drive. She is really coming along well. 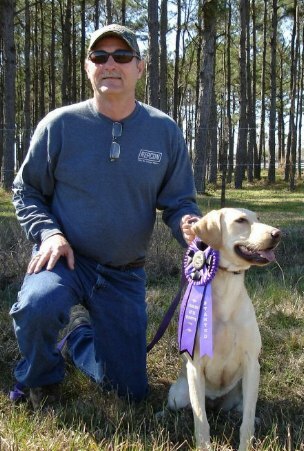 Trainer Will Mabry High Cotton Retrievers. HR Mia's Lean Mac "Mia"
SHR TERESA'S CHOCOLATE VALENTINE JH "ZEKE"
HR RELOADS ONE OVER THE LIMIT "Reload"